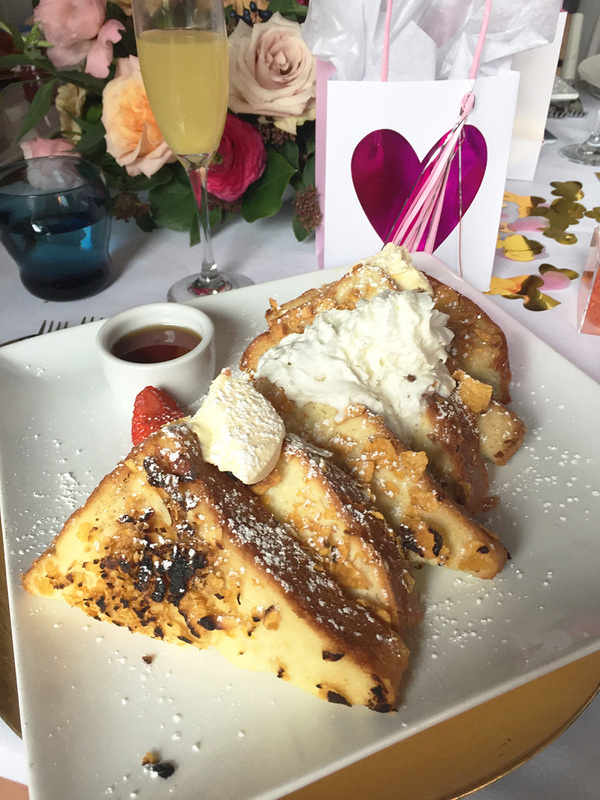 Happy Galentine's Day from Dallas Blogger Brunch! We have loved getting to build the blogging community over the past few years and we had the best time celebrating friendship and beauty at Dolce Riviera over the weekend! 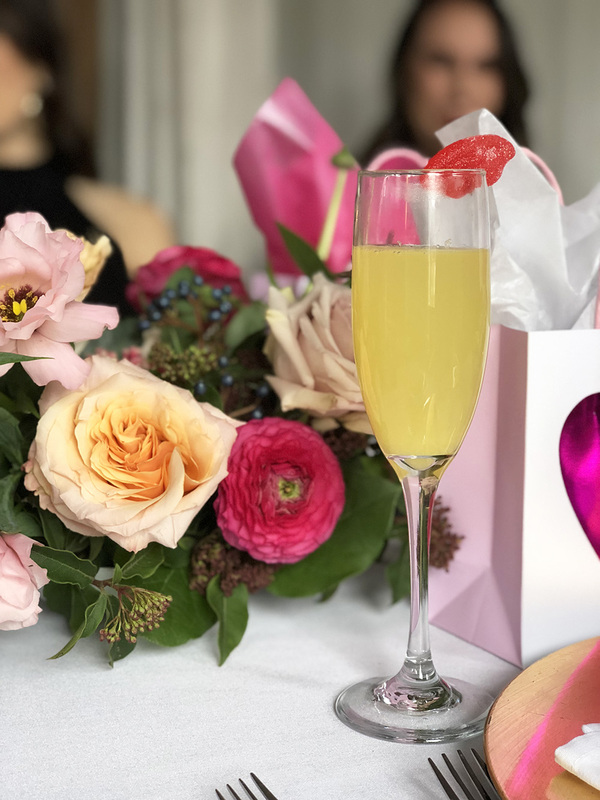 We partnered with local Dallas company, beautykind, an online beauty retailer, to make this brunch extra femme and it was one of our favorite tables ever. We had a private space on Dolce Riviera's enclosed patio and it was so nice to be able to talk and take photos without disrupting other guests! 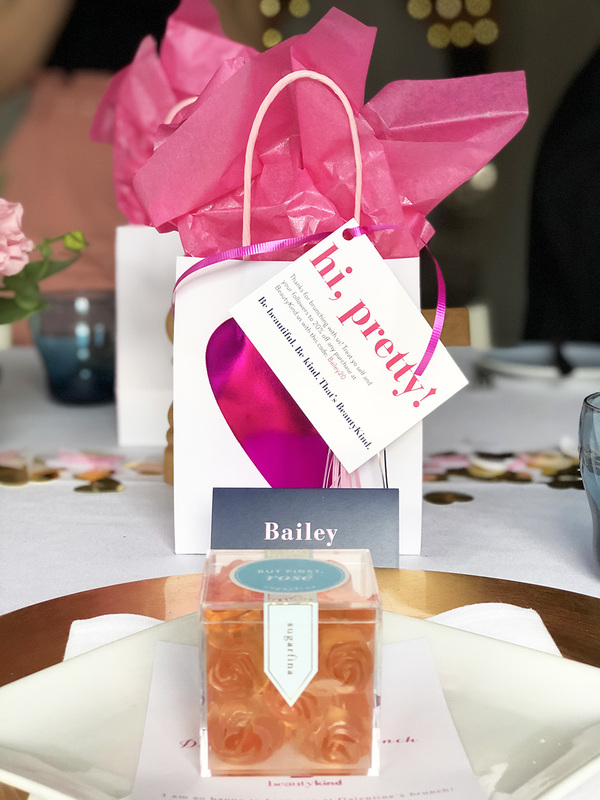 Each of our guests received a swag bag from beautykind, with place settings decorated with Sugarfina cubes! I loved being able to add some special touches to this brunch to go along with the Galentine's theme and, of course, make everything pink! beautykind's mission is so special because they give 5% of your sale to the charity of your choice, so we loved partnering with them and talking about their business and the ways they're pouring back into the community! 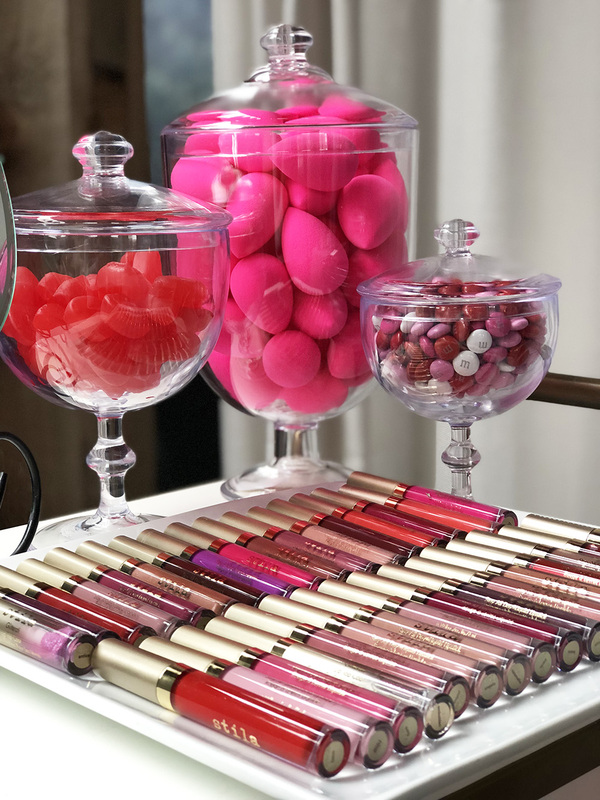 Our blogger babes got to play at the "lippie station" before and after brunch; it was fully stocked with Stila's Stay All Day Liquid Lipstick and we had so much fun trying all of the colors and then choosing a few to take home! Our flirty florals were by Olive Grove Design, and even our mimosas got a Galentine's upgrade with Sugarfina "sugarlips" as a garnish. Of course the brunch at Dolce Riviera was so delicious and we all had so much fun trying each other's entrees! I ordered the French Toast (of course! ), and it was made with cornflakes and was big enough for everyone at the table to have a few bites! Everything was delicious- the chicken and waffles and frittatas were definitely crowd favorites! 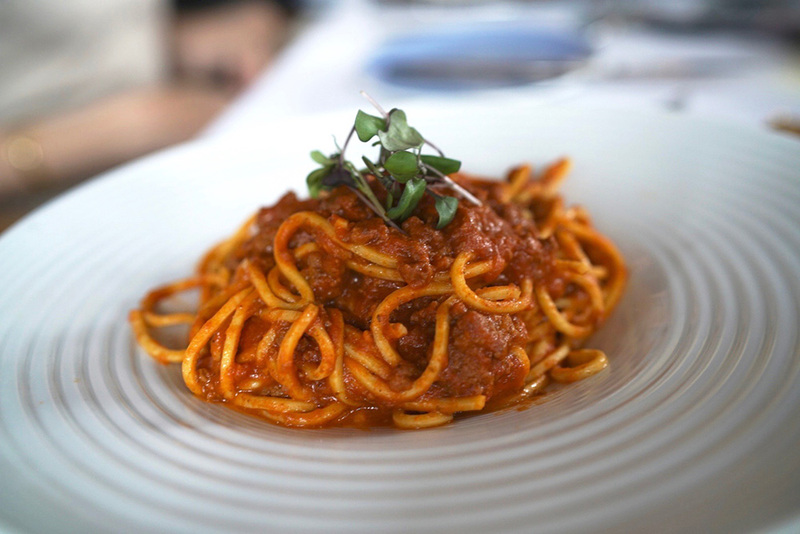 We loved brunching at Dolce Riviera and I'm already looking forward to going back soon! Thank you to all of our bloggers who attended and vendors who helped make brunch a success!